While nannies are not eligible for the 15 or 30 hours of free childcare provision currently made by the government for 3-4 year olds, the good news is that you may still be able to benefit from certain forms of tax efficient childcare (subject to eligibility), which can assist with the cost of paying a nanny. 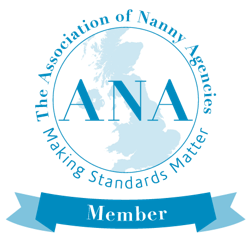 To enable a nanny to be paid via a tax approved childcare scheme, they must hold a current OFSTED registration (see link to our previous blog on this here: https://happyfamiliesnannies.co.uk/2017/10/17/should-my-nanny-be-ofsted-registered/). There are two main tax efficient schemes run by the government which you may be able to benefit from. The primary scheme is now “Tax Free Childcare” which was launched in April 2017, whilst some people may still be able to participate in its predecessor scheme “Childcare Vouchers” which are now being phased out and are closed to new joiners. This scheme was introduced in April 2017. Tax Free Childcare is subject to certain eligibility criteria (see below). You cannot continue to claim childcare vouchers (or re-join a previous childcare vouchers scheme once out) if you successfully apply for Tax Free Childcare. Tax Free Childcare is operated on a per child basis, meaning that the more children you have, the greater the potential savings (e.g. a family with three children can save up to £6,000 p.a.). The child in respect of which you are applying must be under 11 (or 16 for those with disabilities) and usually living with you. You cannot receive Tax Free Childcare at the same time as claiming Working Tax Credit, Child Tax Credit, Universal Credit or Childcare Vouchers. However, you can obtain Tax Free Childcare at the same time as 30 hours free childcare if you’re eligible for both (for example, if you are using the latter for nursery fees). If you are successful in receiving Tax Free Childcare, the government will pay £2 for every £8 you pay your approved childcare provider (eg OFSTED registered nanny) up to a total of £2000 per child per year. This system works via an online account through which you both apply and subsequently pay the nanny. As well as having their OFSTED registration, the nanny will also need to be signed up to the scheme before you can pay them and benefit from it. One of the advantages of this system, versus Childcare Vouchers, is that it is not dependent on employer input, so the self employed can benefit from the scheme. You, as well as others (including the children’s grandparents and your employers) can contribute to the funds, rather like a bank account. However, the maximum the government will “top up” is up to the first £8000 paid in per child (i.e. £2,000 per child). You do need to log in and reconfirm you are still eligible every three months, though, or your government top ups will stop, even though you can still pay into your account. The Childcare Vouchers scheme is being phased out (and replaced by Tax Free Childcare) and is not open to new applicants, but may still be used if you already signed up on or before 4 October 2018. This is a scheme offered by certain employers as a salary sacrifice and part of the package of benefits. If both parents are registered, they can both save the vouchers which can then be used to towards the nanny’s salary. How much you can take depends on the amount you earn and when you joined the scheme. From April 2011 the savings also became means tested, so people earning in different tax bandings save different amounts. Basic rate taxpayers may save up to £243 per month of salary in childcare vouchers from their pre-tax income, from which no income tax or National Insurance is deducted – giving rise to annual savings of up to £933 per parent, p.a.. In the case of higher rate taxpayers, the limit is £124 per month and the tax savings are £623 per parent, p.a. Your vouchers will be lodged with a Childcare Voucher company, and you can pay your nanny via your account with them. Your nanny will need to register with the particular Childcare Voucher company that you save with. It should also be noted that it can take several days for vouchers to clear (unlike a bank transfer which is typically instant), so this needs to be borne in mind to meet your pay date obligations. For further information, please contact any of our team who will be happy to give you more guidance.